Wilo-Flumen EXCEL-TRE | Wilo Philippines - Your local partner to serve and supply with custom-tailored solutions and products as quicky as possible. 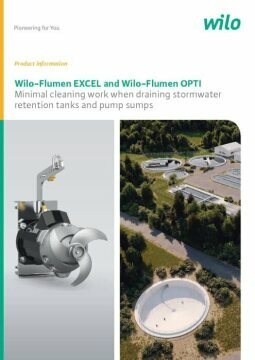 The Wilo-Flumen EXCEL is the operationally reliable solution for draining stormwater retention tanks and pump sumps. It impresses with high-speed submersible mixers that are made of high quality stainless steel and installed close to the ground. They constantly generate sufficient turbulence and therefore reliably prevent solids from settling. This also minimises cleaning work when draining stormwater retention tanks and pump sumps. Even during periods of high rainfall and longer running times, the Wilo-Flumen EXCEL has a low clogging rate and is extremely reliable in operation. 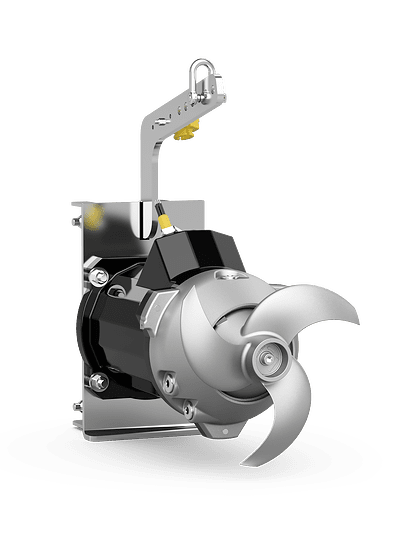 The new precision-cast stainless steel propellers prevent almost all cavitation, so that low-wearing operation is guaranteed at all times. 3-bladed propeller with a nominal propeller diameter of 200 mm to 400 mm. Clogging-free design made possible by backward-curved incoming flow edge. Submersible motor of the TE-series (surface-cooled high efficiency motor) with standard connection for an easy and efficient adaptation of the motor power. The motor heat is given off directly to the fluid via the housing. The winding is equipped with a temperature monitor. Large grooved ball bearings ensure long service life of the motor bearings. 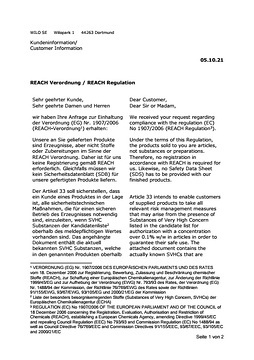 The motors comply with the IE3/IE4 classification (derived from IEC 60034-30). Longitudinally watertight connection cable for strong mechanical loads. The connection cable enters the motor housing through a water pressure-tight cable inlet with strain relief and bend protection.